I'm ashamed to say this. But I'd never been to the Lake District. And I'm even more ashamed that in my 30 years, I never got to appreciate the beauty of the Lake District. Until now. What an incredible place - come rain or shine, it has so much charm and history, and absolutely breathtaking views. And I want to talk about it forever more. I was lucky enough to be invited with UniLad Adventure again, following on my from Slovenia trip with them (I definitely had another pinch-me-are-you-sure-you-want-to-work-with-me-again moment), and after a mad panic of realising I didn't own much waterproof clothing, I couldn't wait to explore the Lakes with the UniLad guys, and my travel companion Luke. Me and my over-excited-face were ready. Hands down this was my favourite thing to do of all. It was actually our last activity of the second day, and having spent the other activites in the rain, it was almost meant to be when the sun came out. I wasn't really sure what to expect, but when we pulled up in the car and were greeted by Once Upon A Llama and four adorable llamas, I knew I couldn't wait. 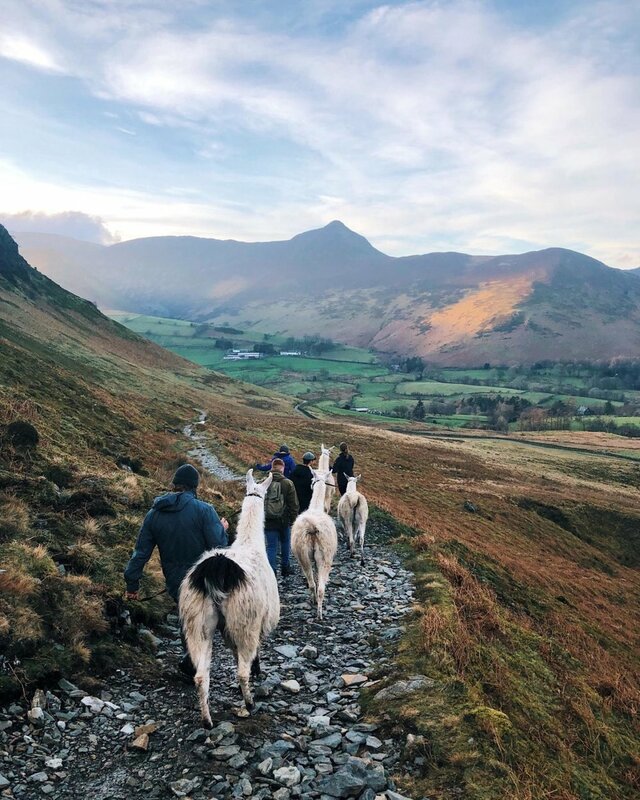 They offer Alpaca walks, and have recently started Llama trekking, so we were the first to take the llamas up to Cat Bells which was an incredible hike (the sweat was worth it). Forty minutes later, walking alongside my new pal Jose, we came to the top of Cat Bells and it honestly blew my mind with it's insane views overlooking the lake. I literally couldn't believe that I was standing at the top of a mountain, with a llama. 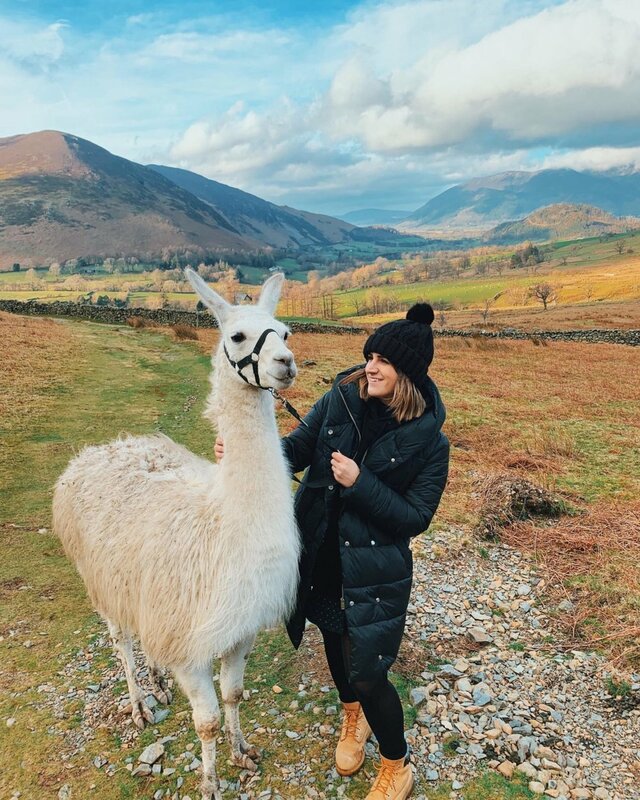 An actual llama. This is now the way I always want to hike! Our first activity on the trip, was an Off Roading experience with Men Of Kankku and one I was looking forward to the most. 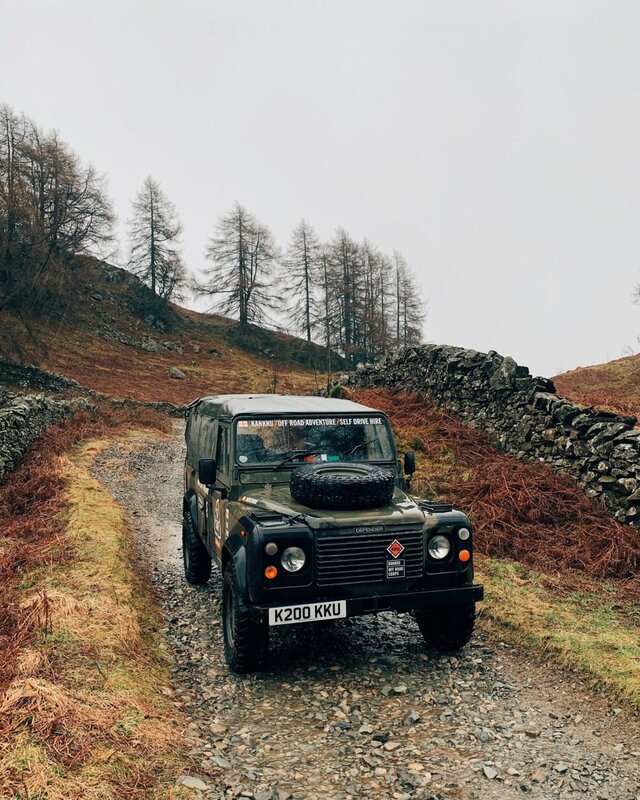 The guides here are so so welcoming and friendly, and even after expressing my nerves over driving a 4x4 that had no power steering with my dodgy hands, they reassured me it would be fine. We headed on a twenty minute drive, till we pulled up on a bumpy road, and I was nominated as first to drive. It reminded me of my first driving lesson when I was adamant I was going too fast, and only travelling at 4mph. Whilst I didn't drive for long (those hands couldn't grip it whenever we went over a rock! ), Luke took over and we had such a laugh clambering over the rocks and admiring the views. Of course our experience was slightly different as we were being filmed so kept stopping and starting - but this is such a fun activity, and whether you're driving or in the back of the truck, you will honestly laugh so much! I think this was my second favourite activity to do (and it was definitely to do with the fact that Luke and I just did our own thing on the boat. And laughed at anything and everything). Whilst it rained throughout, and most people were advised not to go on the lake for visibility, we actually loved this - and I reckon in the summer, or better weather conditions, this is the perfect activity to do with family or friends. Being on the lake is just such a calming thing, and the views around it are beautiful so it's definitely worth hiring. We hired the Motor Boats from Windermere Lake Cruises, which can be yours for 1-2 hours! 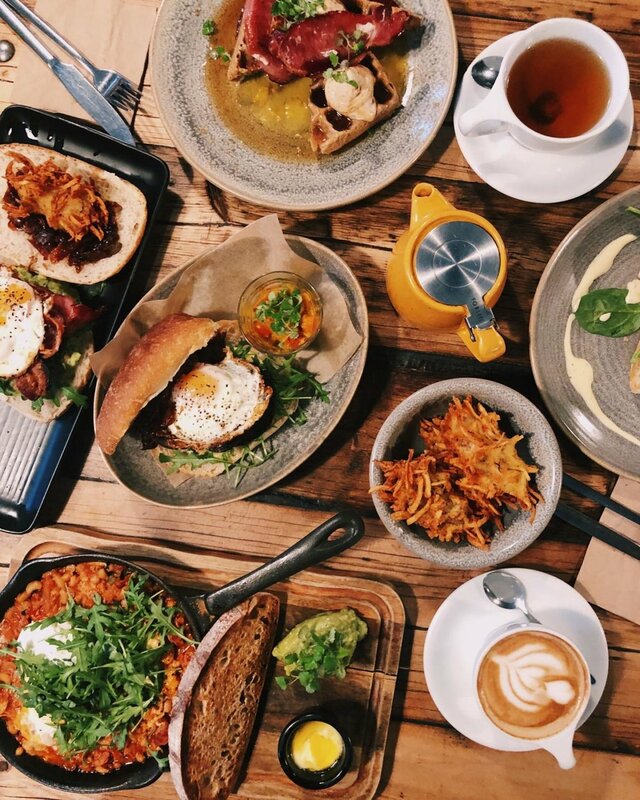 Now it's not like we ever need an excuse to afternoon tea, but if there's one afternoon tea to try, it's The Wild Boar's Alternative Afternoon Tea. In a cosy setting (minus the taxidermy, which I'd rather not, but we are in the countryside, so what do I expect...), you can enjoy an absolute feast of food such as mini fish & chips, pigs in blankets, burgers and traditional scones with cream & jam. And for the veggies like me, there's fried halloumi fritters, bean burgers, cheese rolls and gingerbread to name a few! Plus when it comes with either a glass of Prosecco, Apple Toddy or one of their ales - you know you're in for a real treat! We didn't unfortunately have that long here, but we definitely didn't leave empty handed - and in fact, these treats made the perfect train snack home! I wasn't sure what I'd think of Wray Castle, however as we pulled up into the grounds, we were pretty blown away. 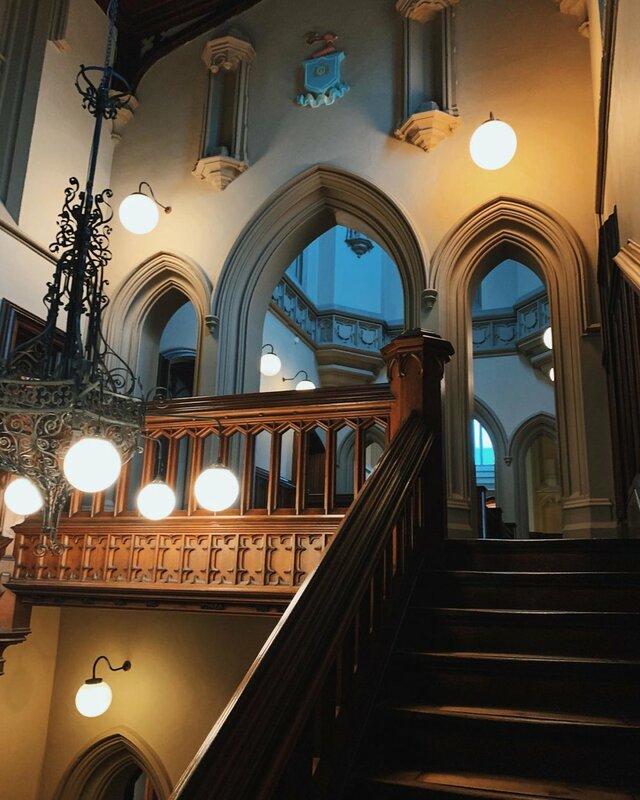 The Gothic Revival castle sits on the shores of Lake Windermere, and you can easily spend the day here whether it's exploring the elaborate halls and rooms, wandering around the extensive grounds or enjoying a drink in the cafe with amazing views. We went during half term, so most of the activities were mainly for the children, but it was nice to see the towers and turrets, and imagine how it was once lived in. We also came across a little green house, which as I'm sure you can expect, impressed me the most! Plus on a sunny day, the grounds would be the ideal spot for a cheeky picnic! We actually stayed in Bowness-on-Windermere, in a small guest house, and although it's fairly touristy, you won't be short of things to do here. We managed to enjoy some food on our first night, and opted to eat at Jintana Thai which served some delicious food and got busier as the night went on. We also tried Homeground for lunch which I'd definitely recommend, as not only are the portions generous, but they're also very friendly. Make sure to take some time to wander around the streets, as there's some lovely little corners and shops to explore too! And there's plenty of bars and pubs to enjoy a tipple in. You can't go to the Lake District and not visit the oldest pub in Bowness, The Hole in T'Wall. It's a true hidden gem of the lakes, and offers open fires, low beams and wood panelling, and a whole lot of decor! The ales are delicious, as is the gin menu, and their food was hearty and just what you need after a day spent outdoors. There's also plenty of games, so whether battleships, taboo or a good game of scrabble is up your street, you'll find yourself staying here for one too many drinks. In all of the best ways possible. And if you haven't seen my second debut with UniLad Adventure, you can check out the Facebook video here. *Paid partnership with Unilad Adventure, on their campaign with Virgin Trains. All views and photograph are my own.